While the retail sector was the first to test beacons and and implement in-store marketing, over a period of time, marketers across various verticals, right from casinos to banks to restaurants have started to embrace iBeacon technology. In fact, beacons have become so popular that they are already moving out of the pilot phase to mainstream deployments. However, many brands, even today are still unsure about how to leverage beacons and integrate it with their mobile strategy. And in their haste to catch up to the hype around iBeacon technology, a number of brands are unsuccessful in their attempts. Therefore, while beacons come with a huge deal of disruptive potential to bridge the physical and digital worlds, its is highly crucial for marketers to think strategically about implementing beacon marketing programs rather than rush their way through. If you too have been hunting all over for proximity marketing campaign success secrets that will help you ace your next campaign, you will find our new ebook handy. In this post we will discuss about solutions to 5 common beacon marketing challenges faced by most marketers. (1) Sending irrelevant notifications – While beacons are popularly known for their proximity marketing capabilities, too many irrelevant push notifications, or an overload of messages, can nudge consumers to stop using an app or uninstall them. According to an inMarket study, with every other push notification that is delivered per store visit, marketers risk a whopping 313% drop in app usage. At the same time, well-timed, contextually relevant notifications have great impact on consumer behaviour. When used along with apps that have utility, beacons are found to drive 500% increase in interactions compared to standard push notifications with location relevancy, the same report states. One way to address this issue is by opting for a beacon management platform such as Beaconstac, that enables you to set a “threshold” time for messages to be triggered via your app. Let’s take the case of a retail store. Here, the threshold time can be based on average dwell time spent by the consumer at a particular section of the store, if he/she is interested in buying products from that section. You can use beacons to collect this data as well, by tracking consumer dwell times at various sections of the store. For example, if data indicates that a consumer has a higher chance of buying if he/she spends more than one minute in a particular aisle, you could set “one minute” as the threshold in the Beaconstac dashboard. (2) Not providing for seamless experience – Most apps are designed to grab the attention of the user, rather than provide a frictionless experience requiring little effort required from the consumer. This can result in bad user experience, especially when it comes to beacon-enabled apps . Thus, while UX designers have mostly been concerned about how the app’s interface looks on a screen, proximity-based beacon experiences have challenged them to think of user experience along new lines. In order to ensure great user experience on beacon-enabled apps, UX designers need to consider ‘physical space’ as an important dimension to their work. For example, when it comes to providing a great user experience via beacon-enabled apps, rather than merely grabbing a user’s attention, UX designers need to focus on driving it towards enjoying a real-life experience and enhancing it with as little additional effort required as possible. 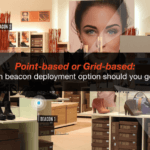 When it comes to beacon deployment, there are a number of factors, right from deciding on how many beacons need to be deployed (and where) to optimizing alignment of multiple beacons in order to reduce interference, that brands need to decide on before going ahead. Having to consider so many factors can be quite a daunting task for marketers. To solve this, SmartFocus, an omnichannel marketer, has come up with a new type of beacon that aims to do away with a lot of hassle involved in beacon deployments. Virtual beacons, the AC–powered multi-frequency beacon that offer bluetooth connectivity and radio waves transmission is a powerful alternative to standard battery-powered beacons. Rather than having to think over how to place beacons around any space a retailer/brand aims to send beacon-enabled notifications to its customers, virtual beacons merely require an AC-powered, multi-frequency beacon from any manufacturer, to be placed at the entrance of the store. And the best part is that, only one beacon is required, irrespective of the size of the store. The other advantage is that, instead of setting up targeted geo-locations in the store, virtual beacons allow retailers to input the store’s floor plan into the system, and draw zones on the same floor plan to define areas where marketing messages need to be sent to customers. Similarly, they even allow store owners to quickly redefine geo-targeted store sections by redrawing boundaries on the floor plan in the software, rather than having to physically move a beacon to another aisle if they wanted to separately define it as a geo-targeted area. One of the other concerns raised by brands as part of the Oho Interactive survey is around specification wars between Apple and Google. As both these giants develop their own specifications, there will soon be iBeacons that work only with iOS products, and beacons that work only with Android devices. This will then lead to the lack of a central and open standard, thus requiring businesses to purchase, install, and manage beacons that support each platform in addition to developing apps for both iOS and Android. The best solution to this is a neutral solution that allows developers to cater to both iOS and Android audience with a single app. Enter GemTot beacons that fully support both the iBeacon and AltBeacon specification. These beacons allow developers to deliver amazing proximity experiences to all customers regardless of their mobile device, by simultaneously broadcasting both iBeacon and AltBeacon signals. Most product or solution designers will agree that they have often found the “maximum range” offered by a beacon to be just not enough. Being directly dependent on ‘Broadcasting Signal Power’, beacon range can be increased by raising the broadcasting power. For example, in situations where your beacons are required to broadcast over a large space such as a parking lot, or in which you want to collect temperature data wirelessly from the most distant points in your office block, you will have to increase the range. Unfortunately, beacons become less energy efficient on increase in broadcasting power, as it results in faster battery drain. Late last year, Ubudu, a company specializing in location-based mobile technology, announced a solution to this – uBeacon Mesh. These beacons utilize the capabilities in Bluetooth 4.1 to turn the current generation of location-broadcasting beacons into a two-way, interconnected network. uBeacons can receive a few kilobits of data from users’ smartphones per second without the need for pairing the phone and the beacon. Also, if one of the mesh beacons is connected to the Internet, the entire mesh network can communicate with the cloud and with other mesh beacons using Bluetooth. We have written about how mesh networks can help solve the primary limitation posed by Bluetooth Smart technology – Range here. While beacons on their own are not that expensive as a marketing tool, managing a fleet of beacons can be quite a daunting task. Especially if you decide to deploy beacons across all your stores, across multiple countries. For example, one of the most common maintenance tasks required of beacons is figuring out when a beacon stops working and needs to be replaced. Since beacons have no network connection themselves, monitoring beacons through a centralized system becomes a significant task. In effect, you will need to either analyze beacon detection data offline to see when a beacon has disappeared, or physically investigate a given space using an app that is meant to gather this kind of data. But then when it comes to a large number of beacons spread out over different locations, even this can be quite daunting. 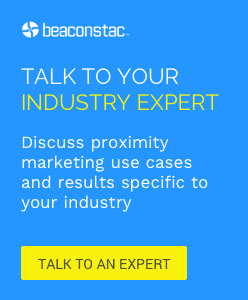 A platform such as Beaconstac with beacon tagging and asset management is the answer. Our platform allows you to continuously track data coming from multiple beacons in the field, provide monitoring features such as battery left, and last ping time, and generate alerts to aid with beacon operations in the field. Are there any other solutions that we have missed out on? Let us know in the comments below.